Product Article Number 6ES7123-1GB00-0AB0 Product Description *** S.. 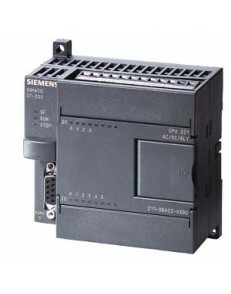 Product Article Number 6ES7151-1AA05-0AB0 Product Description SIMAT..
SIEMENS SIMATIC DP, IM151-7 F-CPU FOR ET200S, 12 , 6ES7151-7FA20-0AB0 .. Product Article Number (Market Facing Number) 6ES7210-0BA00-0XB0 Produ.. Product Article Number (Market Facing Number) 6ES7210-0CA00-0XB0 Produ.. Product Article Number (Market Facing Number) 6ES7210-8XX00-6AA0 Produ.. Product Article Number (Market Facing Number) 6ES7211-0AA21-0XB0 Produ.. Product Article Number (Market Facing Number) 6ES7211-0AA22-0XB0 Produ.. Product Article Number (Market Facing Number) 6ES7211-0AA23-0XB0 Produ.. 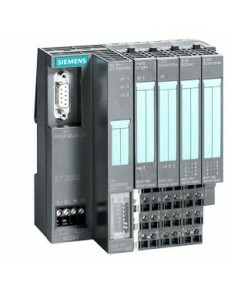 Product Article Number (Market Facing Number) 6ES7211-0BA21-0XB0 Produ..
Siemens SIMATIC S7-200, CPU 221 COMPACT UNIT, AC POWER SUPPLY 6 DI DC/4 DO RELAY 4 KB CODE/2 KB DAT.. Product Article Number (Market Facing Number) 6ES7211-0BA23-0XB0 Produ.. Product Article Number (Market Facing Number) 6ES7212-1AB21-0XB0 Produ..